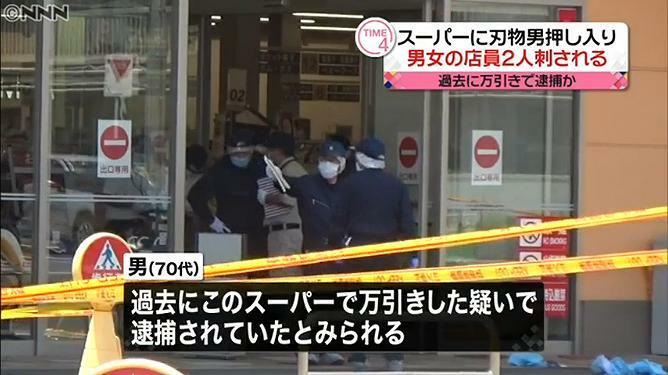 GUNMA (TR) – Gunma Prefectural Police arrested a 75-year-old man after a stabbing incident at a supermarket in Maebashi City on Tuesday left two employees hurt, reports TBS News (July 10). 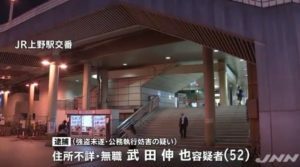 At around noon, police were tipped off that employees at an outlet of supermarket Beisia, located in the Iwagamimachi area, had been stabbed. According to police, Jun Uchino (33), the male assistant manager, was rushed to a hospital with a chest injury considered serious but not life-threatening. Meanwhile, a 44-year-old female part-time employee received a light wound to the back. 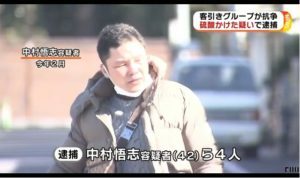 Officers subsequently arrested Toshiaki Izumiya, a resident of Maebashi, on suspicion of attempted murder. The suspect was in possession of two knives upon his apprehension. “I had a grudge against Beisia,” the suspect was quoted by police in admitting to the allegations. 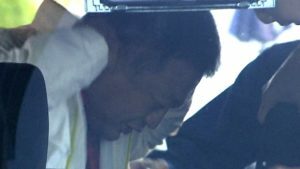 Izumiya had previously been arrested for shoplifting at the supermarket. Police suspect the resentment expressed by the suspect was due to the prior arrest.